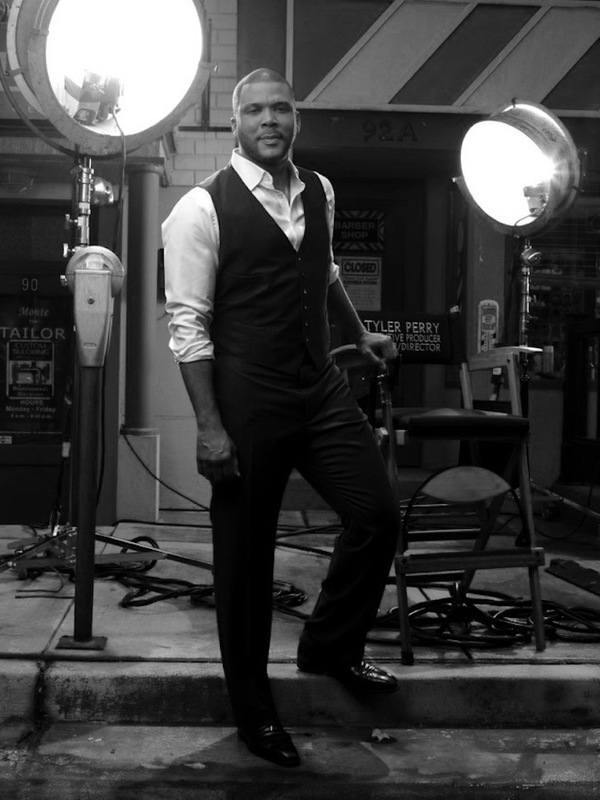 The mastermind behind 17 feature films, 20 stage plays, seven television shows, a New York Times bestselling book, Tyler has built an empire that has attracted audiences and built communities, from the Tyler Perry Studios home base in Atlanta, Georgia, throughout the world. Celebrated “among the pantheon of today’s greatest cinematic innovators,” his unique blend of spiritual hope and down-home humor continues to shape his inspiring life story, connecting with fans across the globe and always leaving space to dream. Tyler’s legacy is the modern epitome of the American dream. Born and raised in New Orleans, his childhood was marked by poverty and a household scarred by abuse. From a young age, Tyler learned to write down his daily thoughts and experiences in a series of soul-searching letters to himself – advice he gleaned from Oprah Winfrey that ultimately set his career in motion. Characterized by strength, faith, and determination during a turbulent adolescence, these letters provided Tyler with the inspiration to delve into writing his first play, I Know I’ve Been Changed in 1992. Saving every last dollar, Tyler staged the play for what he hoped would be a packed audience, but the seats remained empty. Never would he have imagined that six years later, that same play would sell out a local run, forcing the production to move to the acclaimed Fox Theatre in Atlanta, or that in 2015, his original play, Madea on the Run, would be sold out in theaters nationwide. Newly established in the world of theater, Tyler wrote thirteen plays over the next thirteen years, including Woman Thou Art Loosed! and I Can Do Bad All By Myself, the first appearance of renowned character Madea. With the popularization of the God-fearing, gun-toting grandma, Tyler made the leap to film in 2005 with Diary of a Mad Black Woman, which debuted at number one in the United States. Then, of course, came Madea’s Family Reunion, Daddy’s Little Girls, Why Did I Get Married?, Meet the Browns, The Family That Preys, and countless other celebrated hits. In 2006, the world saw the publication of Tyler’s first book, Don’t Make A Black Woman Take Off Her Earrings: Madea’s Uninhibited Commentaries On Life And Love, a New York Times bestseller for eight straight weeks. It went on to claim Quill Book Awards for both Humor and Book of the Year and spread Tyler Perry’s unique brand of inspirational entertainment to a devoted new audience. In 2007, Tyler expanded his reach to television with the TBS series House of Payne, the highest-rated first-run syndicated cable show of all time, which went into syndication after only a year. His follow up effort, Meet the Browns, was the second highest debut ever on cable – after House of Payne. In late 2012, Tyler teamed up with Oprah to bring scripted programming to her cable network, OWN, and launched with the half-hour sitcom, Love Thy Neighbor, and the hour-long drama, The Haves and The Have Nots, which made its debut in 2013 and has continued to break ratings on the network. In the fall of 2016, Tyler debuted a brand new series and political drama, Too Close to Home, on TLC. In recent years, Tyler has stepped out from behind the camera, starring in several films including the Rob Cohen-directed Alex Cross, David Fincher’s critically acclaimed Gone Girl, and Paramount’s 2016 blockbuster, Teenage Mutant Ninja Turtles. Not one to rest on his successes, in 2015 Tyler Perry Studios announced plans to expand operations in Atlanta with the acquisition of Fort McPherson. The studio, which was already home to the production of over 15 films and almost 800 episodes of Tyler’s five television series, has now made a home on over 330 acres. With that, Tyler Perry Studios welcomes more than 400 job opportunities to the Atlanta community across Tyler’s productions, as well as major feature films and television shows.